After attending (and hosting!) multiple #vanlife rallies, getting stopped at gas stations by curious nomads, and giving hundreds of tours of our build-out, we’ve heard the same few questions over and over again. 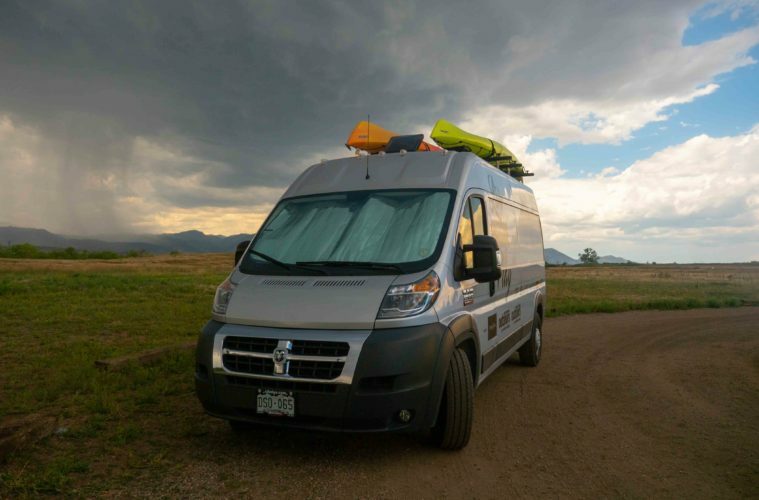 Here is an attempt at answering those stand-out questions that everyone has about living in a van. If you have a burning question we haven’t answered below, please feel free to post it! Well, welcome to question NUMBER 1 (pun intended). This is our most asked question above all and is asked in any number of ways. “Where do you poop,” is the most straightforward form of the question; it’s what everyone is trying to ask politely when they say “Where do you go to the bathroom?” We don’t have a toilet in our van, and we are often in the middle of nowhere. Enter shovel, and a walk in the woods. Neither of us mind; in fact, it’s preferred to porta-potties and public restrooms. 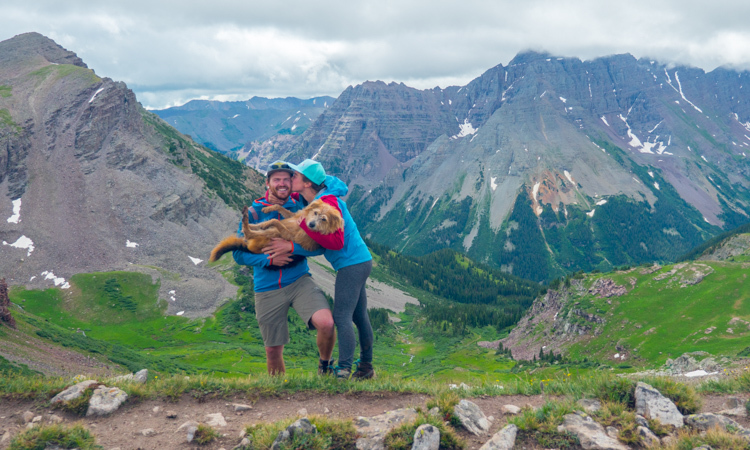 Though usually, we are around places with restrooms — like trailheads, gas stations and coffee shops. Where do YOU poop when you’re on a road trip? It’s most likely the same places as us! Do you sleep in the van every night? I’d go with an 85 percent sleep rate in the van. When we are around the Denver area, we stay with Roxy’s sister and brother-in-law. 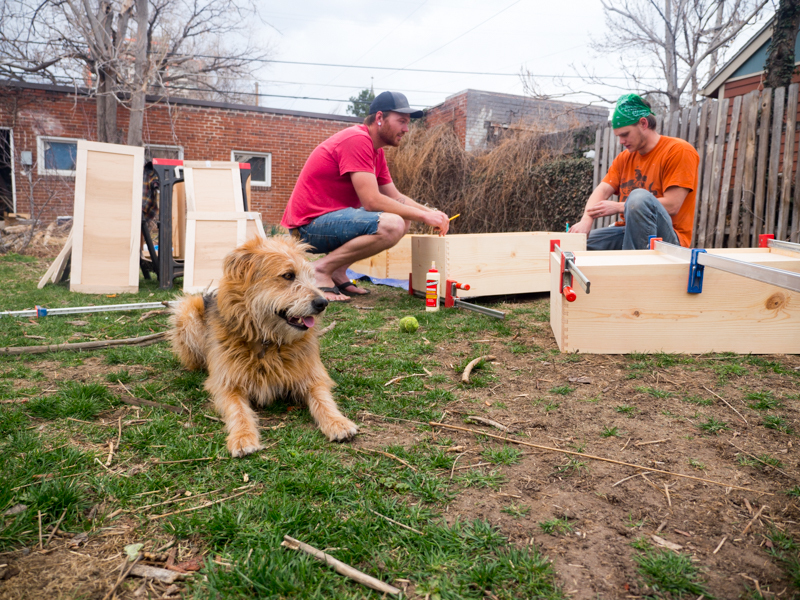 They have helped us in so many tight spots, and Barry even helped with the build out. We’re so grateful! We have plenty of other friends and family that we stay with along the way, but the majority of the time, we are sleeping in the van. We made sure to put a really nice mattress and bedding in there, and it totally makes a difference. If you want to learn about the hours of research we did to find the right one, send a comment on over. Follow up: Which direction do you sleep in the van? We sleep long ways. I (Roxy) would prefer we sleep from side to side, but Ben is too tall for it to work and for him to sleep comfortably. We would have farrrrrr more room switching the bed that way, but we decided to trade space for comfort. We have an RV queen-sized mattress (a few inches shorter, but the same width as a queen) in the bed, which allows for a foot of storage space along the wall. That’s where we keep towels, blankets, Henry’s food and some dry goods. Do you get sick of each other? Are you dating? Yes, and yes. Living within arms reach of someone can cause a lot of small problems. But there’s a sort of magical thing that happens in a van. When something goes wrong, you are the only two people that can solve it. It’s forced partnership, whether we like it or not. So we end up being a team more than enemies, and that spreads out into the rest of our endeavors as well. We just had our three year anniversary, one and a half years of normal dating, one and a half years of living-in-a-van dating. Soon we will have lived in a van more than a house together! Timbr Basecamps helped us with our power system, and set it up so we can add solar panels easily whenever we would like to. We don’t currently have solar because we are carrying boats on the roof! We plan to add solar as soon as possible in the winter time. Do you have any regrets with your build-out? We love our build-out! Every time I open the door, I’m pleased with the way the wood looks, how the floor has withstood a beating and how our bed is so comfortable. The one thing I would change is to trade out storage space for living space. We built the van with our tour in mind, and we have enough storage for it! If we had a place where we could pull out a table and chairs for eating IN the van, that would make it the perfect van. Currently, we have a great outside set up, so problems are solved for the summer. Once we move into the winter months we’re going to find another solution. Who needs to shower? Just kidding, we shower, regularly. We use a Nemo pressure shower, a wooden matt and a Tarpestry hung up between the back two doors of our van, to create a private shower area. More often than not, it’s cold. We set the Nemo out in the mornings to warm by the sunlight, but if you don’t bring it in at the exact right time, the water will cool down with the air. We also had spill catastrophes, water being blocked, feeling uncomfortable showering with other people around camping. So, it isn’t easy, or as satisfying as a hot shower with great pressure, but it gets the job done, and you can go to bed without dirt covered legs. The real question people should be asking is, “How do you wash your hair?” We don’t. We wash it when we are visiting with friends and steal a shower at their house. Hats and more hats! Yes, Summit Publishing provides us with a hotspot to work with. It’s through AT&T, and provides pretty solid service on the East Coast. Once we switch territories to Colorado, Verizon is king. If AT&T has service, we have internet. Usually, we are at a campsite in the middle of nowhere and we read, watch downloaded movies, or do work we can complete offline. 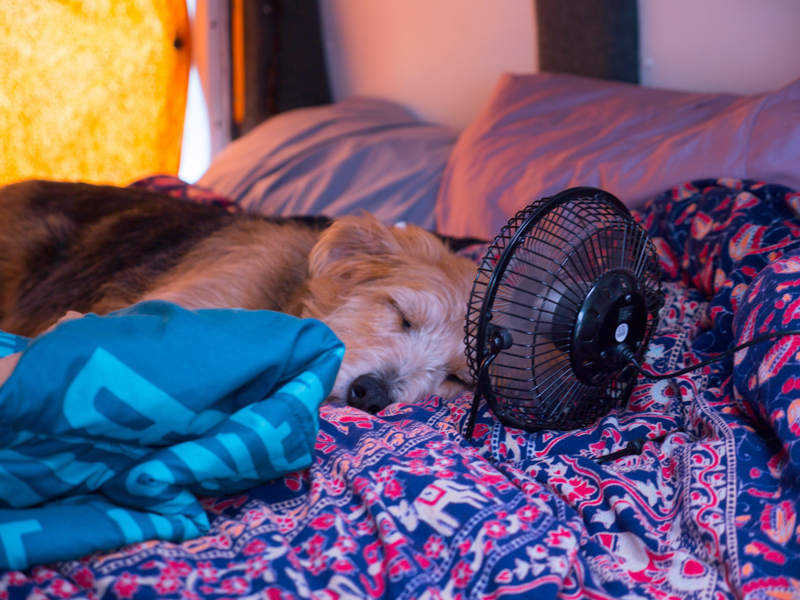 How does your dog like #vanlife? 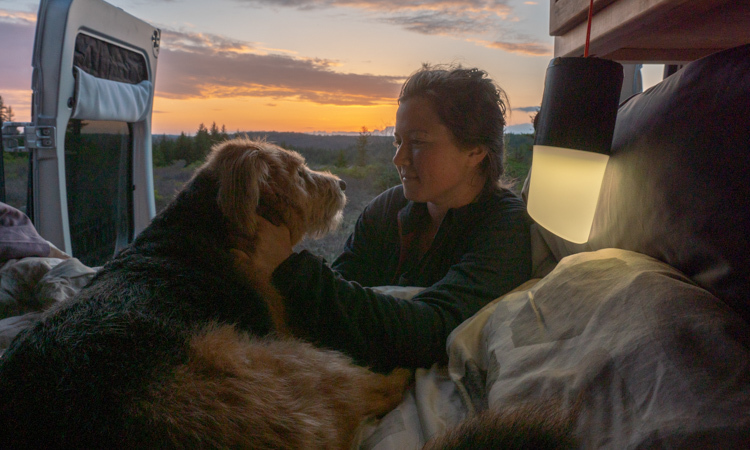 We wrote an article about living vanlife with a pup. Check it out, and send any more questions you have! What do you do for laundry? Friends houses and laundromats! We have enough clothing to last us for two weeks without needing to wash anything. Usually, in that time we go through a friends house or find a laundromat. Often, we wear the same outfits for multiple days at a time until they are un-wearable. 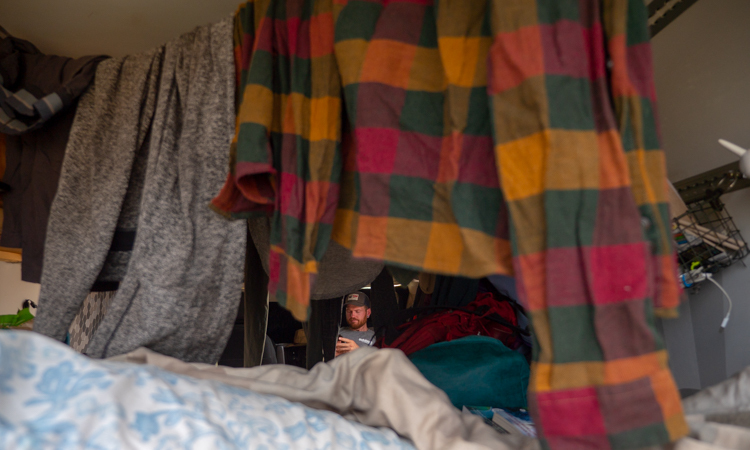 We also have a set up with NiteIze CamJam XT that allows us to hang a bunch of clothing in the van to dry. This is super useful in the Colorado territories when clothes dry within hours. On the East Coast, we have more issues with it. If you have any other questions, send them our way! We are happy to share.